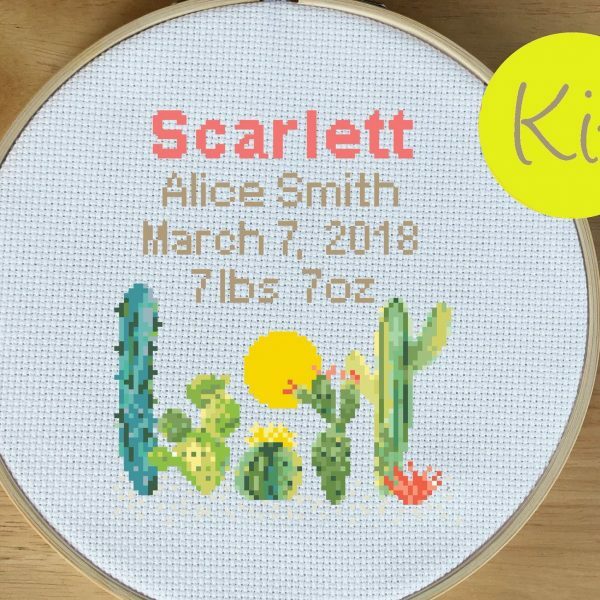 This is a custom baby name cross stitch kit. 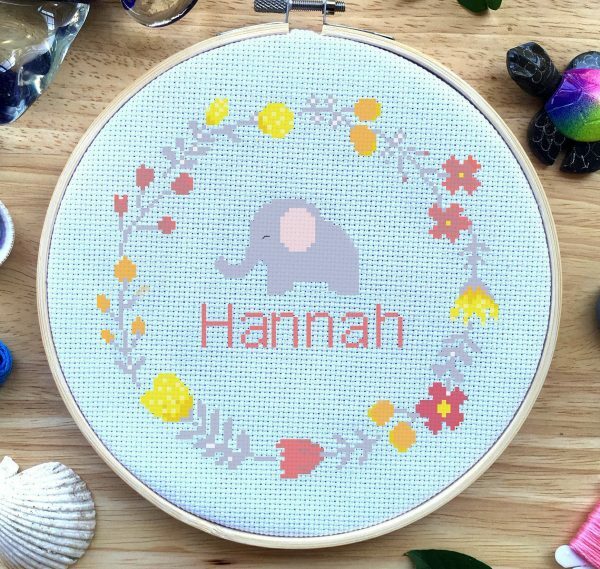 You can choose whatever name you wish to put in this cross stitch pattern. 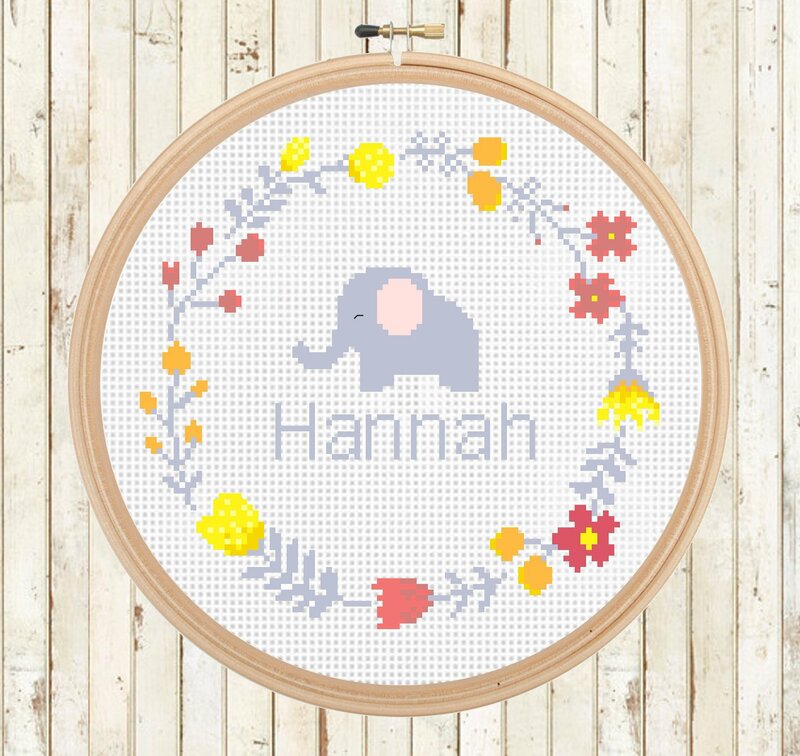 This cross stitch kit is perfect for nurseries and baby rooms. 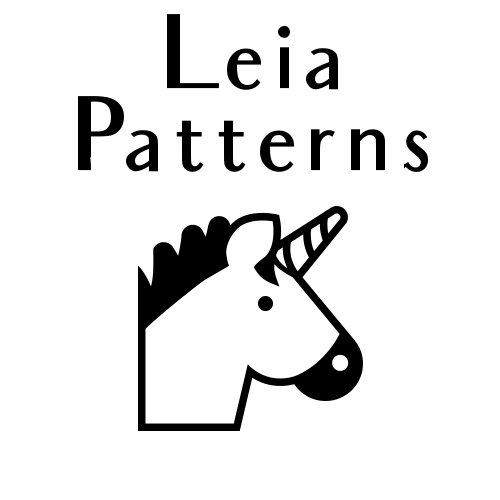 With this pattern you can completely customize the name that you want for the pattern. 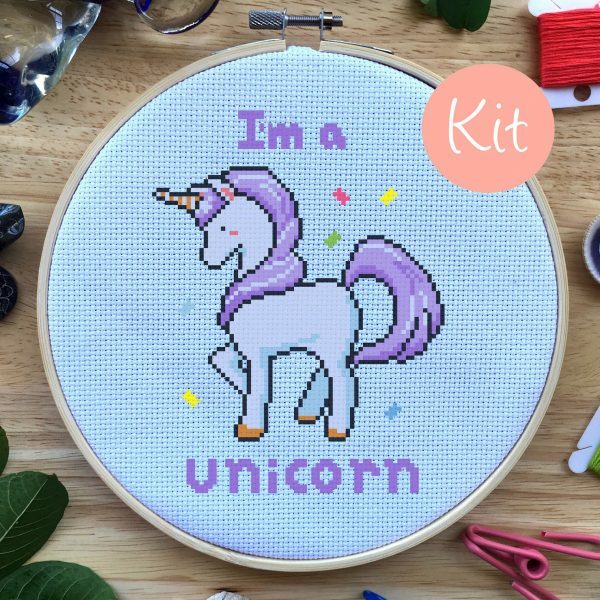 This pattern comes with a complete alphabet set and instructions on how to create your own pattern! 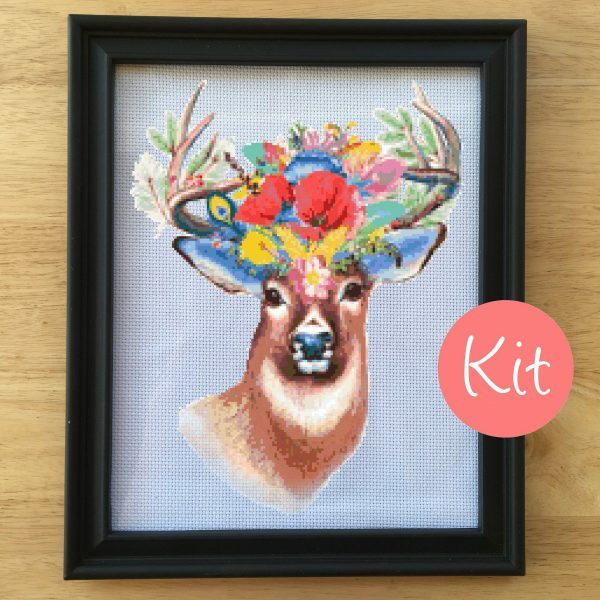 Also with the purchase of this kit, I can place the name for you in the pattern upon request. 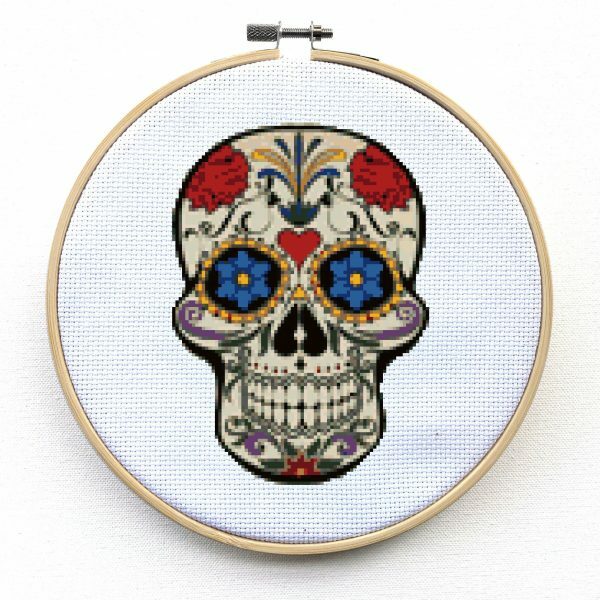 You can get the cross stitch pattern here. 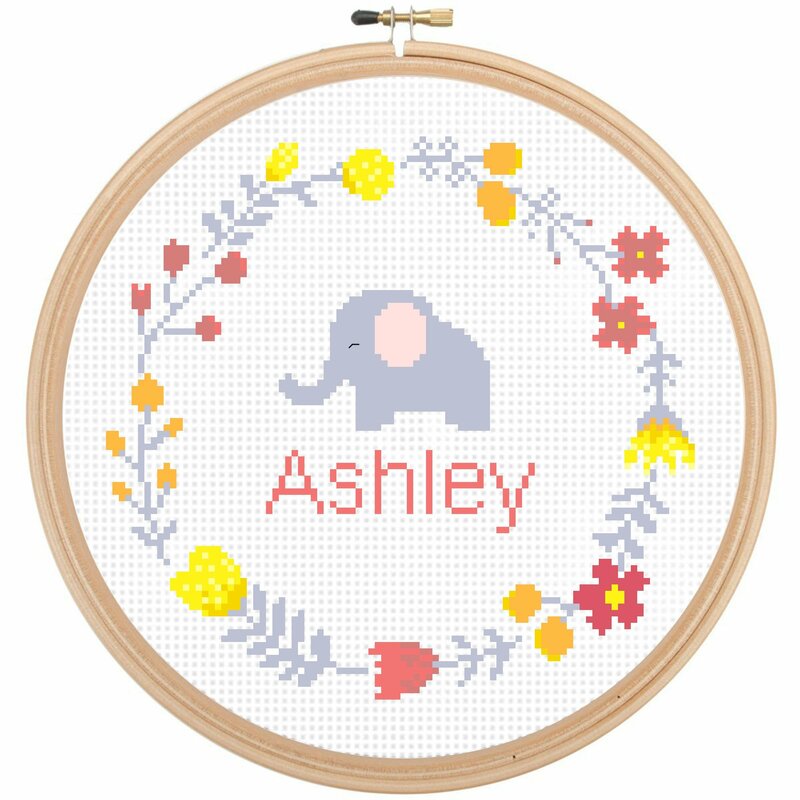 This cross stitch kit is super cute with an adorable elephant inside of a beautiful flower wreath and any name you so choose! 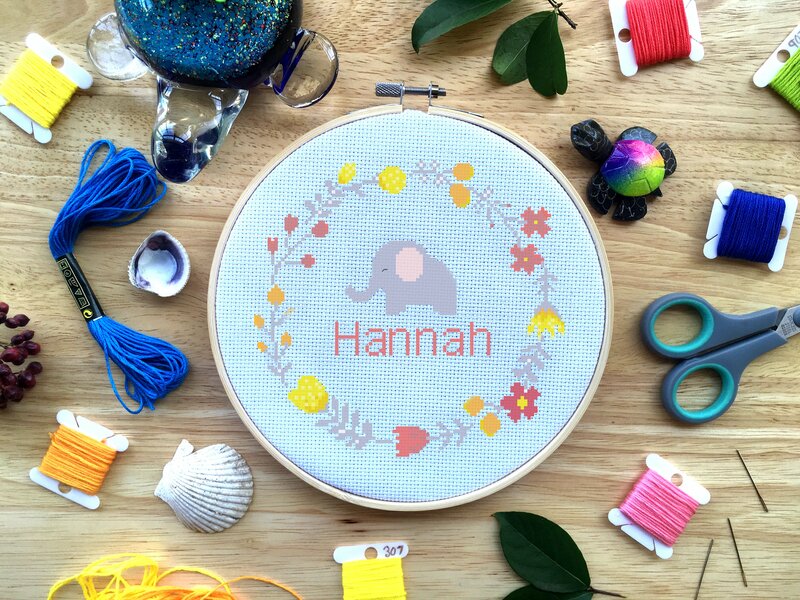 Size: 6.4 x 6.7 in. 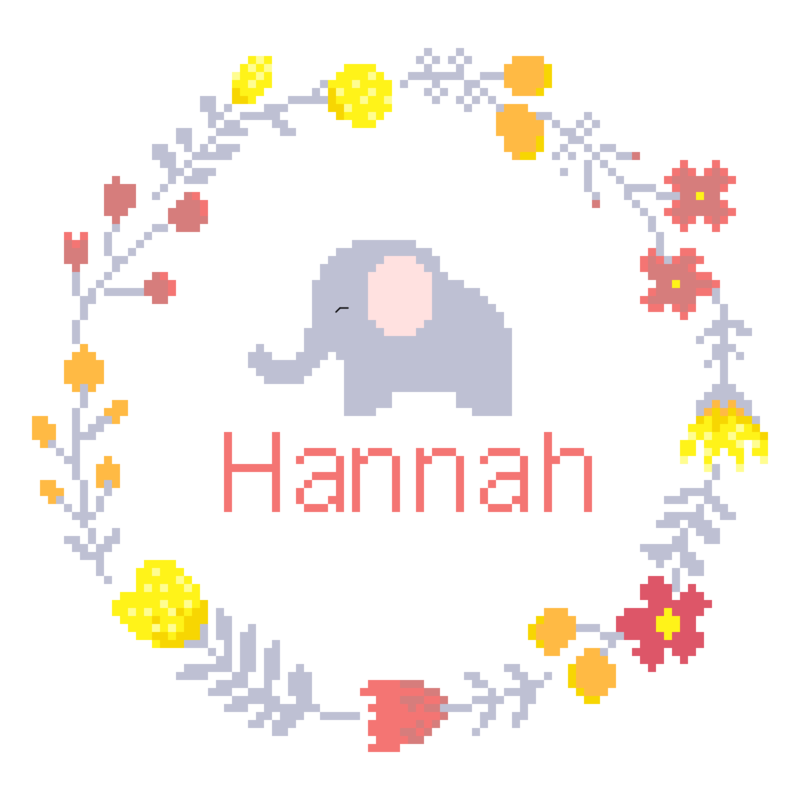 / 16.2 x 17 cm.